As a religious and social phenomenon Methodism engages with a number of disciplines including history, sociology, gender studies and theology. Methodist energy and vitality have intrigued, and continue to fascinate scholars. 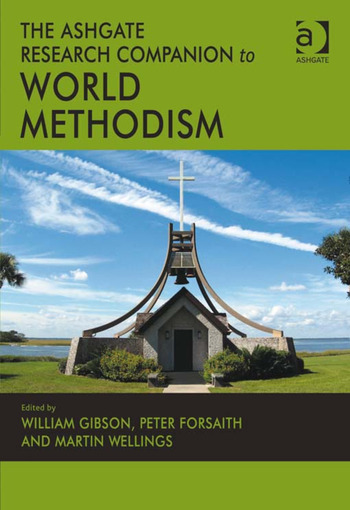 This Companion brings together a team of respected international scholars writing on key themes in World Methodism to produce an authoritative and state-of-the-art review of current scholarship, mapping the territory for future research. Leading scholars examine a range of themes including: the origins and genesis of Methodism; the role and significance of John Wesley; Methodism’s emergence within the international and transatlantic evangelical revival of the Eighteenth-Century; the evolution and growth of Methodism as a separate denomination in Britain; its expansion and influence in the early years of the United States of America; Methodists’ roles in a range of philanthropic and social movements including the abolition of slavery, education and temperance; the character of Methodism as both conservative and radical; its growth in other cultures and societies; the role of women as leaders in Methodism, both acknowledged and resisted; the worldwide spread of Methodism and its enculturation in America, Asia and Africa; the development of distinctive Methodist theologies in the last three centuries; its role as a progenitor of the Holiness and Pentecostal movements, and the engagement of Methodists with other denominations and faiths across the world. This major companion presents an invaluable resource for scholars worldwide; particularly those in the UK, North America, Asia and Latin America. Contents: Part I Introduction: Introduction, William Gibson. Part II Historical Context: The origins and early growth of Methodism, 1730-91, Ted A. Campbell; The price of respectability: Methodism in Britain and the United States 1791-1865, Kevin Watson; Methodism: consolidation and reunion 1865-1939, Morris L. Davis; Methodism: shifting balances 1939-2010, Brian Beck. Part III World Methodism: Church statistics and the growth of global Methodism: some preliminary descriptive statistics, David J. Jeremy; The Wesleys’ role in world Methodism, Jason E. Vickers; Methodism, ecumenism and interfaith relations, David M. Chapman; Holiness and Pentecostal movements within Methodism, Priscilla Pope-Levison; Methodism and women, Margaret Jones; Methodism and liberation theology, Joerg Rieger; Methodism, globalisation and John Wesley, Keith Robbins. Part IV Belief and Practice: Methodism and the Bible, Peter Phillips; Music, hymnody, and the culture of Methodism in Britain, J.R. Watson; Episkopé and connexionalism: ecclesiology and Church government in Methodism, Russell E. Richey; Methodist liturgy and worship, Karen B. Westerfield Tucker; Methodist spirituality, Ian M. Randall; Methodism and the evangelical tradition, Martin Wellings; A historical survey of Methodist preaching, John Munsey Turner. Part V Culture and Society: Methodism and politics: mapping the political on the Methodist genome, Stephen J. Plant; The Methodist conscience: slavery, temperance and pacifism, Jennifer L. Woodruff Tait; Material and cultural aspects of Methodism: architecture, artifacts and art, Peter Forsaith; Methodism and education, John T. Smith; Methodists and business, 1860-1960, David J. Jeremy; Methodism in literature, Laura Davies; Methodism and social justice, Jonathan Rodell; Select bibliography and further reading; Index. Professor William Gibson is Professor of Ecclesiastical History at Oxford Brookes University and Director of the Oxford Centre for Methodism and Church History. His most recent publications are The Church of England 1689-1832: Unity and Accord, (2001); The Enlightenment Prelate: Benjamin Hoadly 1676-1761, (2004); James II and the Trial of the Seven Bishops (2009) and the Oxford Handbook of the British Sermon 1689-1901 (2012) He has extensive experience of editorial work and managing collections of essays, including joint editorship of Religious Identities in Britain, 1660-1832, (with Robert Ingram, Ashgate, 2005); Politics, Religion and Dissent: 1660-1832, edited jointly with Robert Cornwall (Ashgate, 2010) and is book reviews editor for Archives, the journal of the British Records Association. He is co-editor of Wesley and Methodist Studies. He is a fellow of the Royal Historical Society and of the Royal Society of Arts. Dr Peter Forsaith is Research Fellow of the Oxford Centre for Methodism and Church History at Oxford Brookes University. His research focuses on aspects of religion, culture and society in eighteenth-century England. His publications include Unexampled Labours: The Letters of the Revd John Fletcher of Madeley to Leaders in the Evangelical Revival (2008). Other publications include John Wesley: religious hero? 'A Brand plucked from the burning' (2004). Dr Martin Wellings is Superintendent Minister of the Oxford Methodist Circuit and Past President of the World Methodist Historical Society. He is a member of the Faith and Order Committee of the Methodist Church of Great Britain, convening the resource group on Methodist history, theology and ethos. His publications include Evangelicals Embattled (2003) and Evangelicals in Methodism (2005), the latter based on the 2003 Fernley Hartley Lecture, and he has contributed to several volumes on Methodist history and theology, as well as to the Oxford Dictionary of National Biography, the Biographical Dictionary of Evangelicals and the New International Dictionary of Theology.